Dark red stems and veins with green leaves that have a velvet look. It sends out runners and mine has dozens of small plants surrounding it each year. When full size the stem is large and impressive. 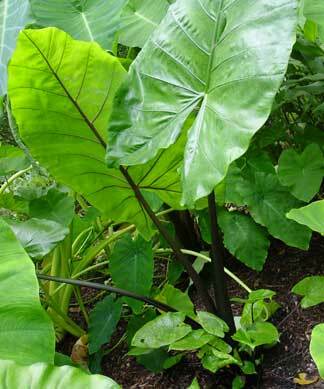 Like most elephant ears it prefers moist soil and sun.